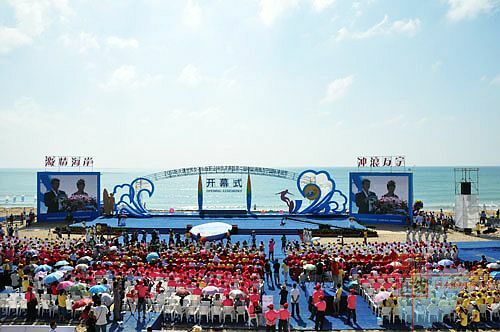 On the morning of 25th October, 2011, the opening ceremony of the Wanning International Surfing Festival 2011 opened in Riyuewan, with 738 guests from home and abroad attending the ceremony. 36 international female surfers showed up on the surfboard-like stage, including American Jennifer Smith, ASP Women’s Longboard World Champion in 2007 and 2009, French Justine Dupont and Reunion Island’s Ophélie Ah-Kouen, who is likely to be crowned 2011 ASP Women’s Longboard Title, according to current scores. 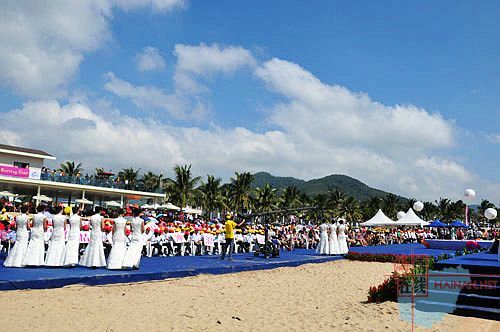 According to the organizing committee, from 25th to 30th October, citizens can take a free bus which runs every half an hour, to enjoy the surfing festival from Youdian Xincun in Wancheng town, Wanning. The schedule is as following: 1. Bus from Wancheng to Riyuewan: 8:00am-4:00pm. 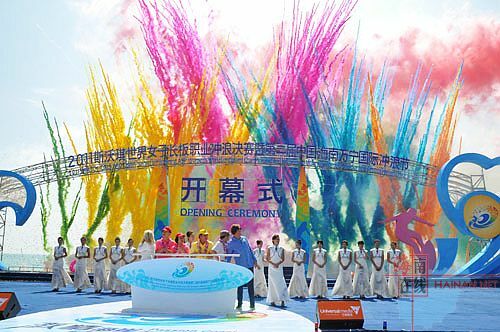 2.Bus from Riyuewan to Wancheng: 9:30am-5:30pm. 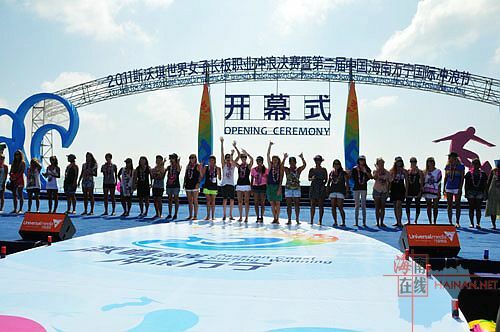 As the second and final stop on the ASP Women’s Longboard tour, the 2011 Swatch Girls Pro China will see the crowning of the 2011 ASP Women’s Longboard World Champion. 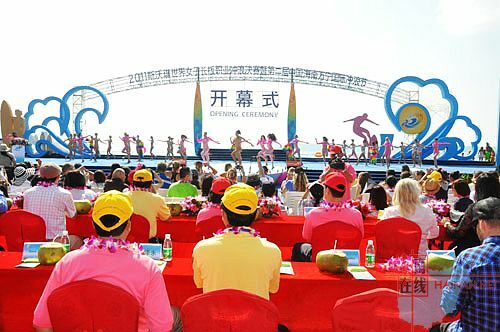 During the days of the festival, many wonderful activities will be held such as a professional surfing competition, surf culture exhibition, and surf theme party.